James T. Jackson has been practicing law with Samuels, Miller, Schroeder, Jackson & Sly, LLP since 1988. During that time he has been a Member of the Illinois State Bar Association, serving as chair of several committees, including Tort Law Section Council; Insurance Law Section Council; and the Attorney Registration and Disciplinary Committee. 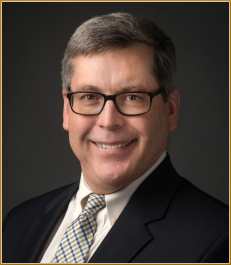 Mr. Jackson has also served as Co-Chair of the Student Affairs Section (NACUA) 1998-2000, member of Defense Research Institute/Illinois Association of Defense Counsel 1995-present, and member of Leading Lawyers Network (Illinois) 2005-present.